A Lovely St Stephen’s Cathedral Wedding Video. Wedding videography from Storyteller Films the Wedding film specialists. Suzannah and Mat’s wedding day went off without a hitch. There was a little rain in the morning but the day quickly became glorious. 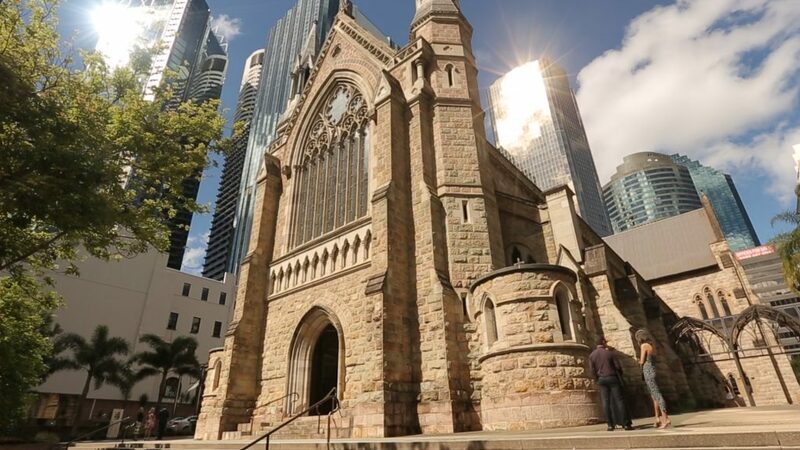 Their ceremony was held in St Stephen’s Cathedral in Brisbane CBD and was a stunning backdrop for the beginning of their married life together. The reception was later held at the Marriott Hotel in Brisbane. The Marriott have some stunning reception halls and there service and food are great.